This Fancy Light Yellow diamond necklace is the necklace to trump all necklaces. Absolutely made with royalty in mind, this Y-shaped necklace features a stunning GIA-certified 13.88 carat SI1 pear-shaped Fancy Light Yellow diamond drop pendant. 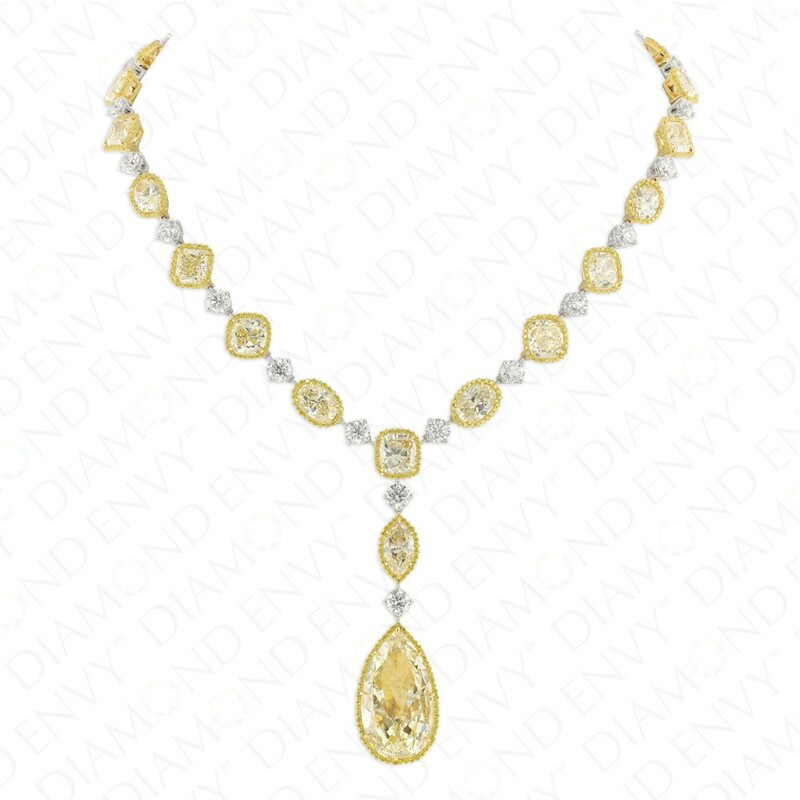 The top part of the pendant features a marquise-shaped yellow diamond sandwiched between a pair of colorless round brilliant cut diamonds. The 18K two-tone gold necklace itself contains 22 yellow diamonds of assorted color and shapes that alternate with 22 colorless round brilliant cut diamonds. Colorless round diamonds are G-H-I VS1-SI1, 24 pieces total, 9.22 ct. tw. Multi-shaped yellow diamonds are 36.71 ct. tw. and are all GIA-certified. Assorted yellow diamonds are framed by halos of VS1 to SI1 round Fancy Vivid Yellow to Fancy Deep Yellow diamonds, 589 pieces total, 2.50 ct. tw. 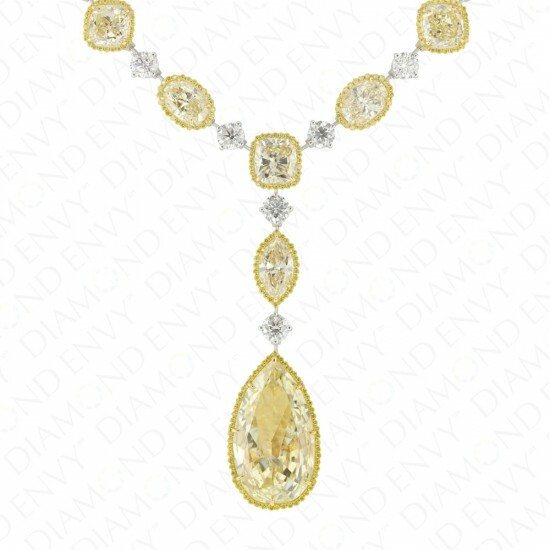 The scalloped halos of the yellow pave diamonds give this necklace a particularly stunning feminine touch. Necklace closes securely with a double-safety clasp. Gold weight: 51 grams.